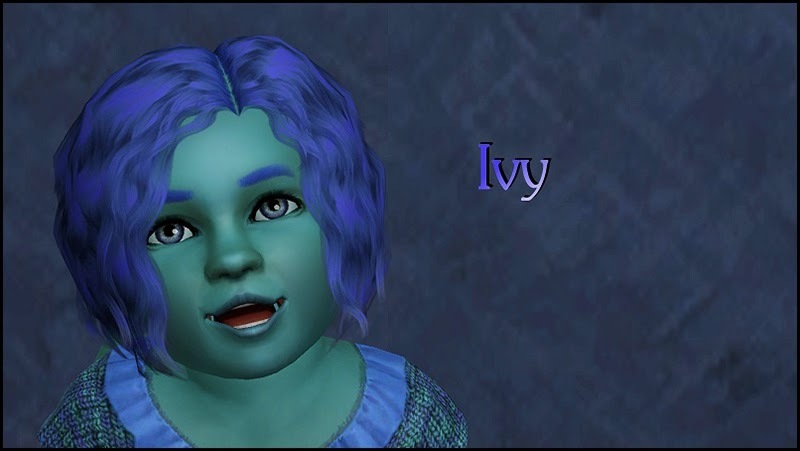 The triplets are quite a handful so as much as I hate to admit, I aged them up (as well as the other children) as quickly as they came into this world. 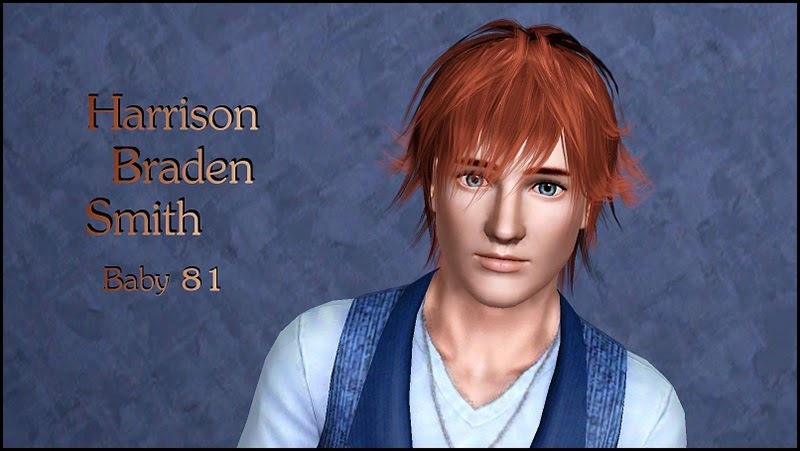 Harrison ages up as an accomplished sim fu artist. He has mastered his black belt and Adam even mentioned at one point that Harrison was one of his quickest pupils to get to his black belt. In turn, Harrison wants to open up his own sim fu school to teach other kids the art of sim fu. 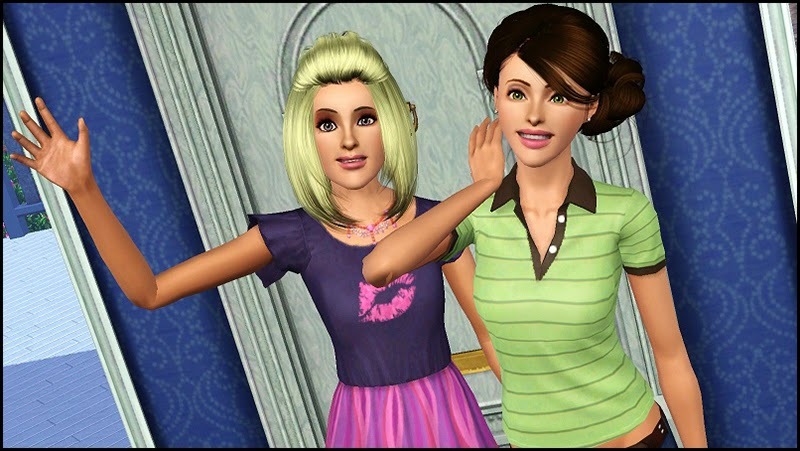 The twins, Lacie and Alice age up into beautiful teens. They're both still very interested in art and want to continue to work on improving their already amazing skills. Alice in particular has gotten more into sculpting. 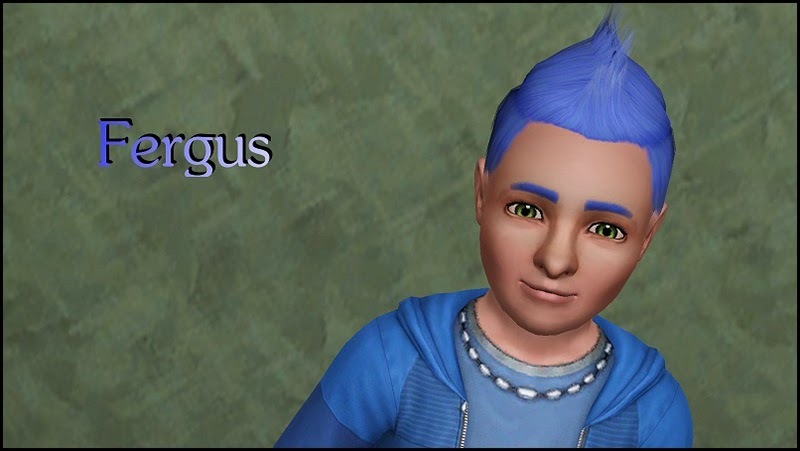 Fergus ages into a child. He keeps his Mohawk hair style as he believes it makes him look tougher. The triplets are beautiful. 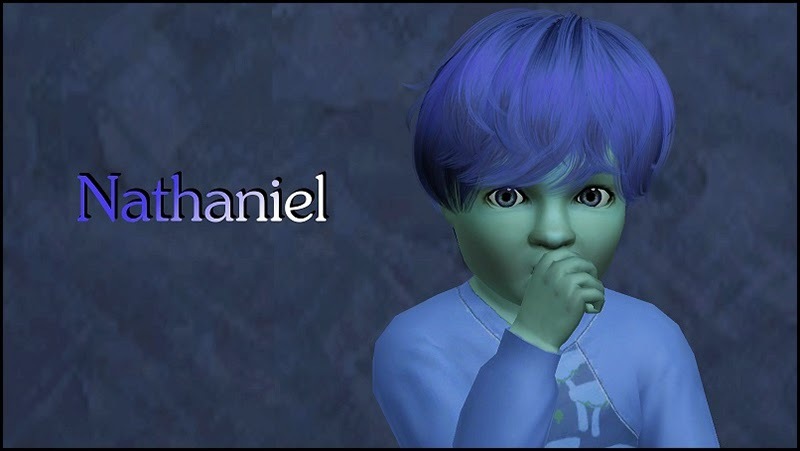 Adalyn is the only one to get her father's colored hair and Nathaniel and Ivy both have similar features with their blue hair and eyes. Immediately, I find the next challenge father, a man that is a very important part of my friend Laura's life and his name is Michael Blake. The "kittens" are no longer kittens so I call my friends up to come and adopt their cats. Dawn Turner and Wisdom Lemi arrive first. I talk to Wisdom about cat care as she seems hesitant to adopt Shimmer. Dawn get acquainted with Opal. Dawn and Opal really hit it off and she and Wisdom leave with both their cats in hand. 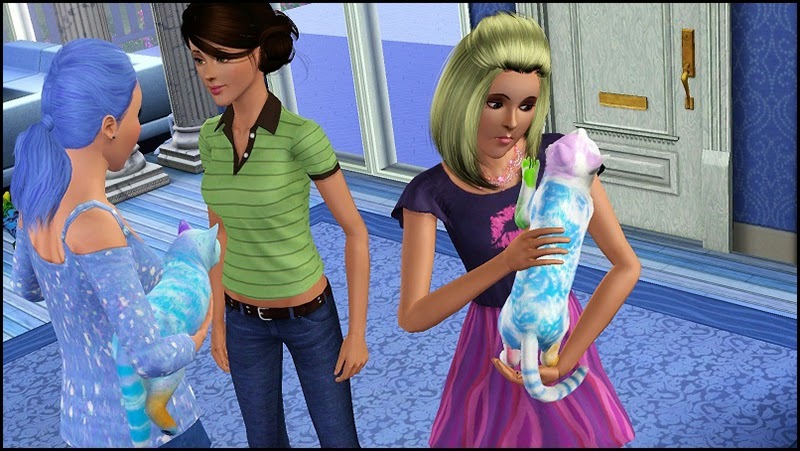 Later that afternoon, Laura Johanson and Vanessa Wood come for their cats. 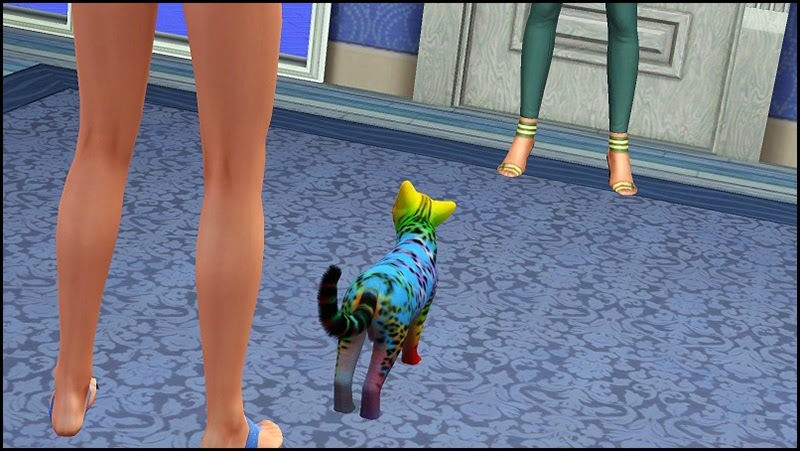 They immediately start playing with their cats, Sequin and Glowy, as they engage in the laser toy and the brush. 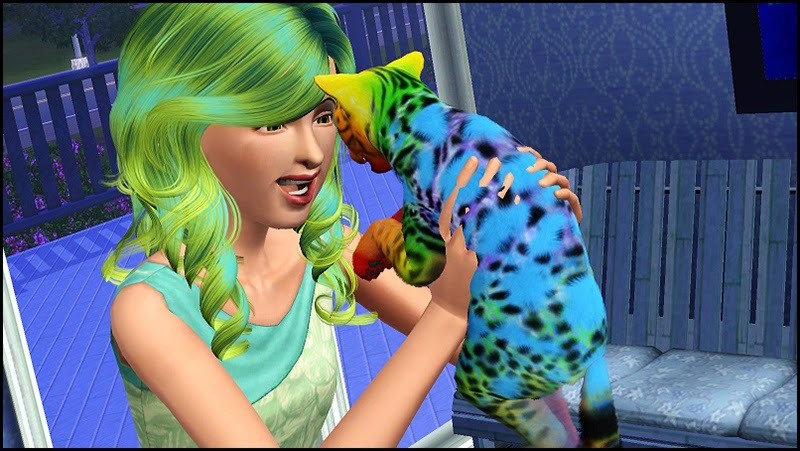 I even hear Vanessa talking to Sequin about how much she's going to pamper her when she gets home. Last to come is Kristine Bell for Moonlight. Just as she walks in the door, Moonlight comes running as if he knows that it's his turn to go to his new home. Of course, the good-tempered kitty gets along splendidly with Kristine. It makes me so happy to know that they cats are now in their new loving homes. I fall into a dreamy trance as I think about how wonderful my cats have it now. All of a sudden, my phone rings and I snap out of my vision and into reality. Thank you for your simmies ladies - Vanessa Wood, Wisdom Lemi, Kristine Bell, Laura Johanson, and Dawn Turner. 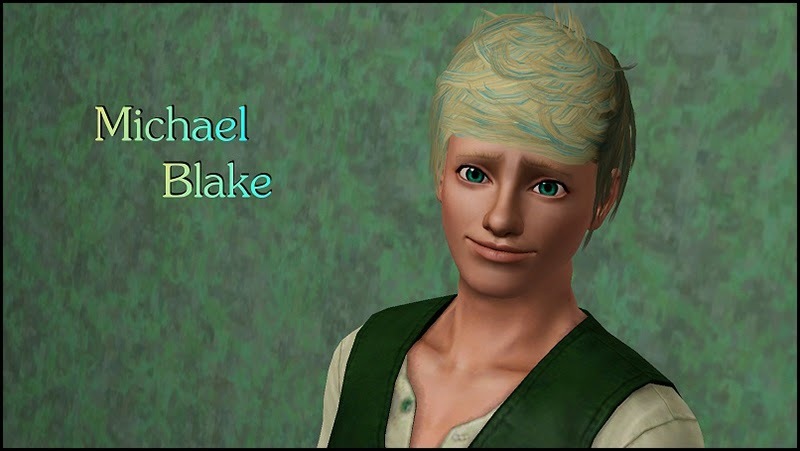 Also, thank you extra for Laura for the lovely Michael Blake. Okay, so this post was really short because I didn't have much of the post done and I realized that I hadn't posted for almost a week. So I decided that instead of making you guys wait another week or so for the next post, I'd just post what I had. It's better to post something than nothing at all even if it is a short (and not very interesting) post. I know, I'm overly excited to see his kids. I hope they get his hair. The last time I had a father with blond-blue hair, his kid didn't get his hair so my game better behave this time. Aww, no problem Laura, I can't wait to see her in your game! I can't wait to see Opal in your game either! Thanks for commenting, Dawn! All the kids grew up great!!! I loved it! And I wonder who called her???? I know, I love Calista's kids. I think it's my graphics that make them look so good, not so much their genetics. THE TRIPLETS! OMG, I just want to cuddle with them. They're too cute. A short, but sweet post! I'm so glad Adalyn got her father's hair. At least one of the triplets did. I was going to pull my hair out if one of them didn't get the cool hair color. OMG Harrison is so amazing (and hot)! where did you get his hair? Haha, I got his hair here, at My Blue Book. Aww great chapter Molly, the triplets are ADORABLE!!! And it's good that the Cat's went to great home's. And I just wonder who could be at Calista's phone! 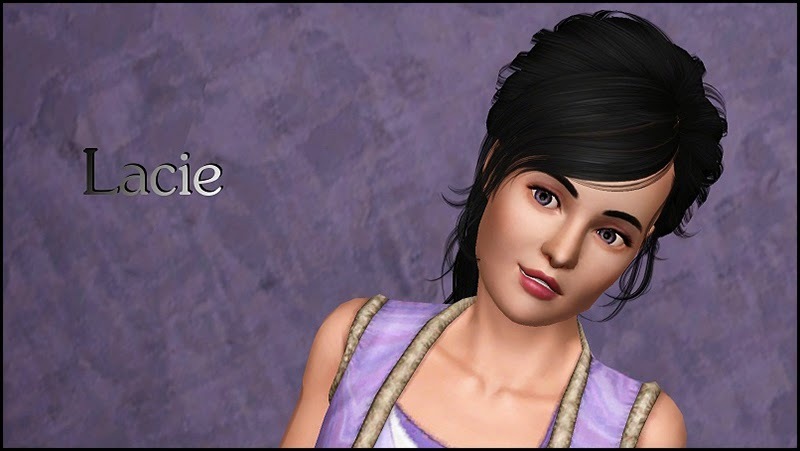 And by the way, do you think there is a possibly that I could use Harrison as a souse to Jade's daughter in my legacy please? I'm glad the cats when to great homes too. I'm so excited to be so close! Of course, like I said on Facebook, I'll get you a download link asap. Your kiddos, why they all so pretty, huh? Why Callie, why!? 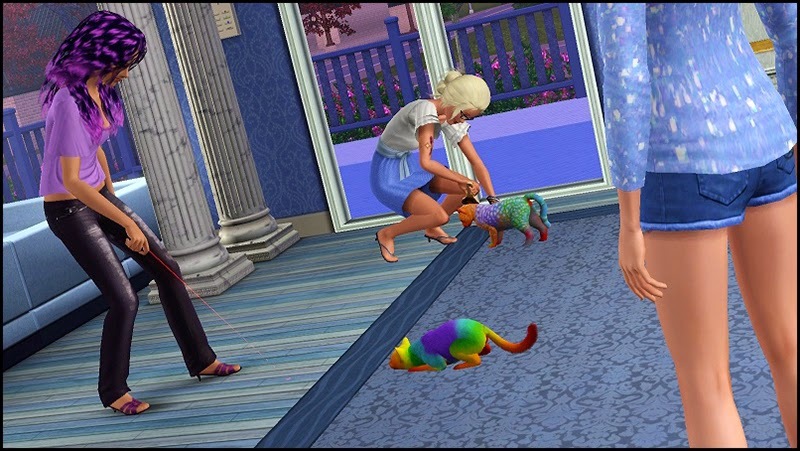 I especially love the colours of Adalyn, Nathaniel and Ivy. cute! The second batch of kittens are just as cute as Illusions brothers and sisters :-)! I'm glad you like the triplets. I didn't like them at first but I've gotten used to them and they're pretty adorable! I'm so excited to be so close to that 100 way mark!